TubeNet • View topic - Old Conn Eb? Was watching and won this -- looked like a Conn Eb, is that right? Bell seemed smaller than I would expect but I'm no early Conn expert. Last edited by tmz1m on Tue Oct 23, 2018 3:02 pm, edited 1 time in total. I think someone got a great deal. This is similar to Mark K’s little famed Eb of his Czarsas solo. Except this horn is 3v and tuning in lead pipe. And gold wash bell. Similar horn from that era on Hornucopia. If the valves are half as good as exterior it’s a find. If I had bought it, I would have kept as is. Except flip first slide. Maybe use for small group classic jazz. Sadly, I was ready to bid but had to prioritize another purchase. If you got it, what’s your plan? Feel free to gloat. If you missed out, what would you have done? Seems ripe for project. I've just been wanting to learn Eb fingerings so I'm going to leave as-is for the time being and see how it goes. Yeah good Cost for entry level. But could be a player. And if you get tired of a baby effer, hang in to it. Every 50 years they’re back in fashion. Im anticipating being old and gray when the same size will be essential for staying in the game. Please send video when you play test. I always wonder how these eBay risks pan out. Received this yesterday. It's in really nice shape, definitely low pitch. I ordered some thicker valve oil as I think it could use it, and the only MP I have that will fit it is a bass bone MP so I'll probably keep an eye out for a Wick 3, as that seems to be the MP of choice for stuff like this. Overall, I'm happy with the purchase, and hopefully it will spur me to learn Eb fingerings and let me decide whether I should buy a nicer Eb down the line. Good! You might like one of the smaller sizes just as well - Wick 4 or 5 - if there's anything to the notion of matching the cup volume to the size of the tuba, as I gather this one is relatively small. I have a 5 and I like it well enough on my little Italian Eb, though I've never had a chance to compare it with anything. Nice little horn for the price. tmz1m wrote: Received this yesterday. It's in really nice shape, definitely low pitch. I ordered some thicker valve oil as I think it could use it, and the only MP I have that will fit it is a bass bone MP so I'll probably keep an eye out for a Wick 3, as that seems to be the MP of choice for stuff like this. Overall, I'm happy with the purchase, and hopefully it will spur me to learn Eb fingerings and let me decide whether I should buy a nicer Eb down the line. From the original ad images it looked like main tuning slide had been modified lengthened. Was that the case? Yes I’m green with envy for no particular reason. Some fish that get away stay with you. Last edited by BrassedOn on Fri Nov 02, 2018 5:56 am, edited 2 times in total. That's a good point about the main tuning slide, yes, it does seem like it was lengthened at some point. I was able to find a Wick 3 in an old classified ad, and it's on its way to me. I'm curious to try it once I receive it. EDIT: your note about the MTS being lengthened makes me wonder whether it was actually high pitch, someone had it lengthened, and then I was just playing very flat due to any number of variables/leaks? When the MTS was in the mouthpipe like that, Conn often supplied 2 slides; one High Pitch and one Low Pitch so that the horn converted on the fly. It may have been sold with only the Low Pitch slide, but I wouldn't be surprised to see scribe marks on each valve slide. Fully in, the valve slides are short enough for High Pitch; pull them out to the scribe marks and you should be ready for low. 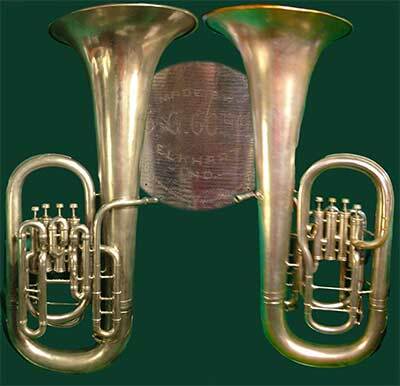 Do we know how low "low pitch" was, in a 1915 Conn instrument? Maybe Conn had a ceraintain pitch at the time for HP and LP but not likely standard across makers and ensembles. And I’m no purist on horns. 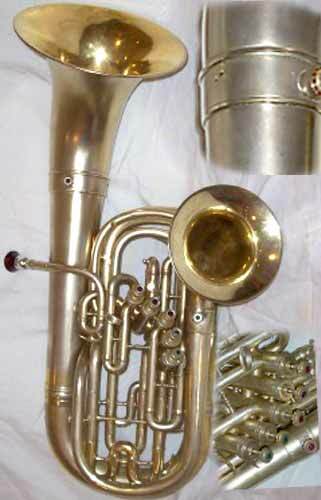 Short of the CSO York, which is our Stratavarius, tubas are tools. So either way, HP or LP or modified horn does not affect my impression of the horn. Just a practical matter. If it seems flat it could just be made or mod on the lower side of low pitch, lower than 440. And if the MTS had already been modified, that might be a Good place to start toward bringing the horn into 21st century use. Thanks for the tip about the scribe marks, they're totally there and I had no idea. Since they are uneven, is it possible that they indicate the possibility of different pitches? Also, is it odd that there are slides both above and below the 1 and 3 valves? I've seen that on more modern and larger horns, but it seems like overkill on a horn of this size. Just the design thing at the time? After looking at the MTS again I don't think it's a reproduction, it appears completely original, probably just the LP slide. I'm not a great player but based on fooling around with the tuner a bit I think it's at ~435. if the original pitch was A=435, there's nothing for it but to cut. if the original pitch was A=440 and it plays A=435 now, then there's another reason, and if you cut it and later, perhaps by accident, address the cause, you now have to lengthen it to get back to A=440. I'm probably overthinking it, as I can't recall hearing of anyone actually experiencing that problem, but anyway I present the reasoning for your amusement. I don't know that I've ever seen 2 different scribe marks from Conn that weren't the same distance. If there are more than one, they've been marked as to what each one is for. Maybe they used two different pieces when they built it. 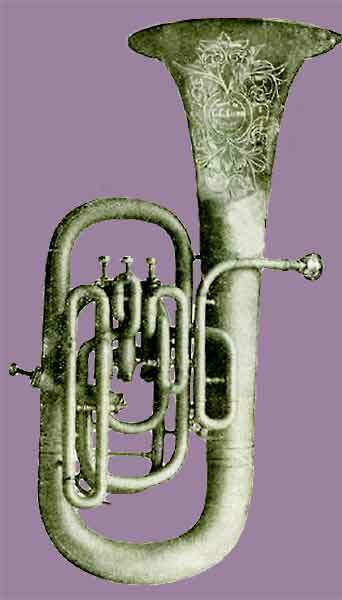 I have a Conn double-bell baritone that was made for Simone Mantia in 1907, when he was with Author Pryor's band. It was clearly built for A=435. Rather that cut the gold-plated tuning slides (main bell & trombone bell) I had new shorter ones made to 440 from pieces put together from someone's hellbox to keep the originals intact. It's not hard to do, and then whether it's the horn or you, you still have the originals for the vintage horn. windshieldbug wrote: I don't know that I've ever seen 2 different scribe marks from Conn that weren't the same distance. If there are more than one, they've been marked as to what each one is for. Maybe they used two different pieces when they built it. Interesting. I'll have to look more closely, but on at least 2 (or maybe 3) of the slides, the scribe marks were at different distances so it doesn't seem to be a one off for that particular slide. I'll try to look more closely this weekend and maybe take a few measurements out of curiosity. Definitely a neat find though, I'm glad I picked it up. tmz1m wrote: Thanks for the tip about the scribe marks, they're totally there and I had no idea. Since they are uneven, is it possible that they indicate the possibility of different pitches? The scribes seem very reasonable. Who knows the intention other than this is likely a dual pitch horn. Already tuning slides on the top? Goldmine. Someone wanted to be able to adjust. Along with the gold wash, and dual pitch, this was not a bottom end model, I’d guess. Other than bringing horn to pitch, having at least the first valve pullable is the first mod I would have done. But it’s already done. If you’re still playing on a bass trombone or standard tuba shank then that could be throwing off pitch. I’d be interested if the British shank Wick with massage that. And if just slightly off with Wick 3 then try shalllower cup. Keep in mind all of Donn’s advice above. Before making any cut, I’d play for a while. Find an oil that seals the old valves and have other tubists play. Check for other leaks or gaps. Then make your overall assessment. How far are you going to go with this horn. As is but make it a playing 3 valve? Bring to repair cat who’s brought tubas up to pitch. Make some cuts, maybe just the main, as the others have some room, and oil the heck out if it every time you play. Some might decide to add a 4th and Go all the way, to a guru like like Matt Walters and consider the package of replating valves, mod slides etc. I don’t know how the community feels. I think this is a great niche find, but modifying would not hurt value. No loss to the A435 community. Not like the aforementioned Mantia double bell. Some might be tempted to invest in a good cutter and do the mod themselves starting with the main bugle MTS. Speaking of valve sealer oil - a forum member here recently came up with the idea of wiping some very heavy oil on the pistons, and then loosening them up with lighter normal valve oil. He used a product called Hy-Per Lube, which happened to be the most economical of the two or three similar oil "treatment" products at the automotive retailer. I tried it, and liked it well enough to keep using it. Just a theory, but it may cling to the surfaces while mixing rather slowly with the light oil, due to the high viscosity, so you get better space filling and lubricating effects than you'd get with one intermediate weight lubricant. At worst, it's a sure way to find out how it sounds with no leaks there. I’d be reluctant to use anything automotive. I think there are some lengthy posts on this site about risks etc. The instrument oils like Hetman 3 and lubes like Gap Filler do pretty well. 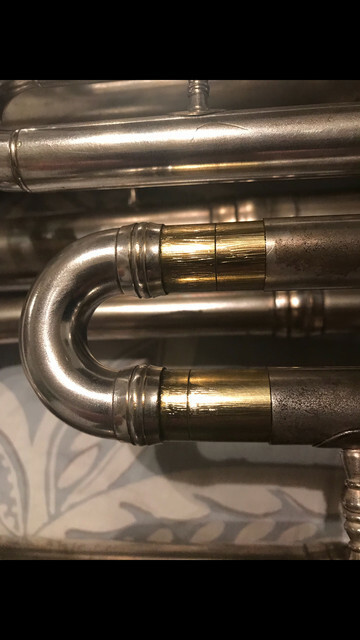 However, you’re right about if just to check the horn with very worn valves, something even thicker might at least answer questions about what the horn sounds like when valves are tight. BrassedOn wrote: I’d be reluctant to use anything automotive. 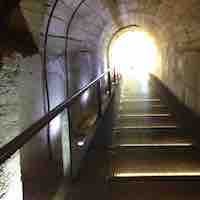 I think there are some lengthy posts on this site about risks etc. I would find that very interesting, if you can remember anything more about it. I've been using ordinary motor oil as a component of my valve oil for years, and ... well, frankly, that seems totally implausible to me. Oil, meet brass; brass, meet oil.